The Nintendo Switch was a big hit this month. From Thanksgiving to Cyber Monday, the Switch had it best selling week ever in the US – it was actually one of the most purchased items online during that period. 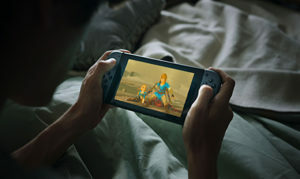 The Switch became the best-selling Nintendo console in US history for that five-day period; it even beat out the Wii, which also sold well during that stretch of time years ago. But that wasn’t the only Nintendo item being sold. Overall, shoppers bought more than $250 million in Nintendo products. This included games for the Switch, the 3DS, the Classic Edition consoles and more. Basically, the company had a great week of sales, further cementing a great year! There stock is only going to climb. With Super Smash Bros. Ultimate launching next week, it wouldn’t be shocking to hear more records being broken. The Switch is the Fastest Selling Console in the US! The Switch is doing better than expected!